There’s a lot of talk about tomorrow’s Blue Moon. There’s news about it all over the web. Astrologers and astronomers have it covered from every direction, and some of it’s downright crazy. It’s so fitting for a Blue Moon in Aquarius to get so much internet buzz. To make it quite unique, both Uranus and Saturn (rulers of Aquarius) are retrograde. Before you start thinking that this Blue Moon is super-powerful, it’s not. It’s a regular Full Moon, full of all the gifts and pitfalls that most Full Moons have. What it does that’s “special” is it gives us 13 Full Moons in 2015. That happens seven times in the Moon’s 19 year cycle. Far from magical, but still very cool. I usually like simple rituals ~ just a little something to mark the moment. Neon blue candles for an Aquarian Full Moon, for example, instead of white or yellow. Since electricity and batteries fall in the domain of Uranus and Aquarius, this is the perfect time to use a battery-powered or electric candle. Break with tradition and do something a little different. This ritual is a bit more complicated (but not too much) and can take a bit more time (perhaps an hour). But this is a special Moon, warranting a special ritual, so why not? Celebrate this unconventional Blue Moon by following her rulers ~ Uranus and Saturn ~ and engaging in a little retrograde motion, i.e., past life regression. Not too far back ~ just until the Moon was full in Aquarius last August, a year ago. 13 circles cut from paper (one for each Moon since last year’s Aquarius Full Moon). Place these in the bowl. Pens or pencils in two different colors. Designate the brighter color for Uranus and darker one for Saturn. Optional: Add any embellishments that you would like ~ an electric blue scarf, some tie-dyed cloth, incense or essential oil, crystals, perhaps one of those bizarre painted blue orchids ~ whatever makes you happy. Before you begin the ritual, center yourself by taking a few deep breaths, inhaling and exhaling slowly. Start by remembering where you were and what you were doing at this time last year. As you recall things, you will write a short description (example: new haircut) on one of the circles and place it outside the bowl. Start at the 1:00 position and move clockwise around the bowl. Think back on all kinds of things ~ unusual, traditional, fun. Maybe you put blue streaks in your hair, went skiing, got a tattoo, visited with an old friend, reread a favorite book ~ anything that was memorable. It doesn’t matter if it was “important” or not, just something you recall. As you remember these things, ask yourself this question. Was this action typical for you, or different? If it was typical, write it with the pen designated for Saturn. If it was different, write it with the pen designated for Uranus. Each time you recall something, choose your pen, and write it down. Place that circle in the next position, moving clockwise. 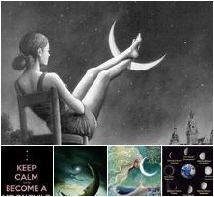 When you reach the 13th circle, representing this Blue Moon, write something that you would love to do in the future. Is this typical for you, or different. Choose your pen, write your short description, and place this last circle in the bowl. As you move around the bowl, placing the circles, you’ll probably notice that one color of pen dominates. Is it the Saturn pen, or the Uranus pen? If it’s the Saturn pen, you are more traditional, steadfast in your actions, and dependable (to a fault?). If it’s the Uranus pen, you are unconventional, quirky, and enjoy the new and different. You may be surprised at which dominates. Should you take more risks, go for a bit more tradition? You are who you are, so don’t judge harshly. Just take an objective view. What color did you choose for the future? Are you happy with your choice, or would you benefit from the other approach? End the ritual by placing all the circles in the bowl, except for the 13th circle. Carry it with you for inspiration until the next Full Moon in Aquarius ~ August 18th, 2016. You can leave the full bowl on your table for as long as you wish. The Moon is memory, so why not continue to enjoy what you’ve recalled today. 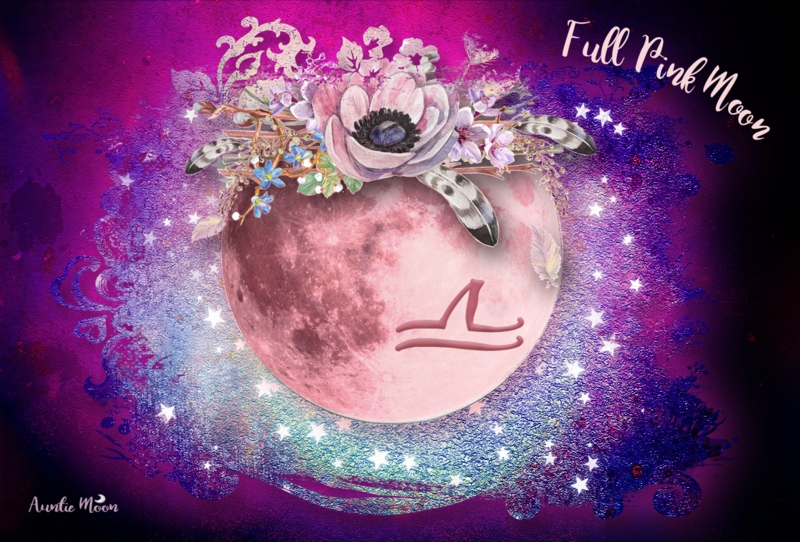 Have a happy Full Moon in Aquarius! Blue Moon neon sign available from Amazon.com. Previous postNew Moon in Gemini 2015 ~ What did You Say? Let’s all have a toast with Blue Moon Beer and party!!! I’m all for it! 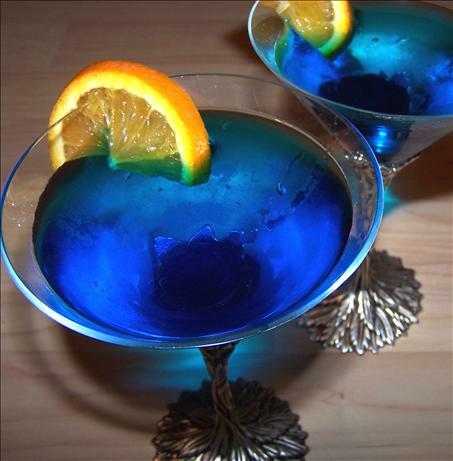 Or how about that blue moon martini? Sure looks yummy to me. Thank you for the ritual suggestion! I did it and had an interesting discovery: what was unusual of me that time seems almost typical of me now—they became a more natural part of myself. The ritual is a nice reflection and assurance that as a human being, I am always changing and moving forward (even though I had equal amount of representations from Saturn and Uranus!). Thanks again. That’s wonderful, Melissa. It’s always nice to get to know ourselves a little better. Ever changing, ever growing. I’m happy that you enjoyed the ritual.